In conjunction with this new Flash Drive Edition, a one year Online Edition (which includes free updates) is also being offered at a discounted price. Listing over 73,000 antique and modern firearms, airguns, and types of ammunition from 1000 manufacturers worldwide, the Guide is an easy to use, all-encompassing reference tool that is ideal for gun enthusiasts, retail distributors, and writers. Once it’s inserted into your computer, the Flash Drive gives you a convenient and comprehensive research tool at your fingertips. Its easy-to-negotiate icons allow you to search for whatever you’re looking for, whether it’s technical specifications, schematics, ballistic information, high-resolution color pictures, or even printable zombie targets. It’s also very fast and offers more focusing selections than standard Internet searches. For example, using a standard Internet search engine for a polymer frame pistol in 9mm will result in about 482,000 different web pages, but the same search using the Firearms Guide immediately narrows it to 300 relevant pistols. To search any section, you simply click on the search icon, which in this version of the Guide is a Black Rifle. 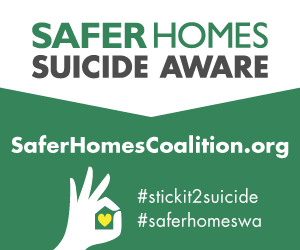 (In previous editions the icon was an old-style Colt revolver.) This click leads to another screen, allowing you to narrow your search for more specific weapon information (RIFLE, SHOTGUN, BLACK POWDER, HANDGUN, MILITARY, AIRGUN, and AMMUNITION). Each of these categories is further subdivided into options offered in drop-down boxes that further narrow the search parameters (Manufacturer, Caliber, Barrel Length, etc.). These drop down menus offer specific choices allowing research of any gun in a few seconds. For example, if you’re searching the HANDGUN category you can further narrow your search parameters by selecting the appropriate category from the subgroup drop-down box (SUBGROUP ALL, PISTOL, REVOLVER, SINGLE SHOT PISTOL). Other boxes are available for various manufacturers, caliber, country of origin, barrel length, etc.). Enlargeable, full color pictures accompany each listing. The SHOW ME AMMO icon, which if clicked, shows you the type of ammunition used in the gun you’re looking at. Two more icons, SHOW MY FAVORITES and ADD TO MY FAVORITES, are available for retention research, and a third icon allows these images to be printed. The AMMUNITION icon offers a lot of technical information as well, providing a variety of specs and graphs at your fingertips. The search for ballistic specifications can be made and narrowed to a specific round with a few clicks. Any pertinent information you wish to save can be saved to your favorites, and a convenient RESET icon immediately allows another search to begin. The Firearms Guide also provides 650 printable targets, ranging from animals, silhouettes, objects, targets, criminals, and even zombies available in both black-and-white and color. The Schematics Library contains a complete parts listing of all the weapons, along with easy to read diagrams and a convenient zoom feature, which is ideal for gun smiths. 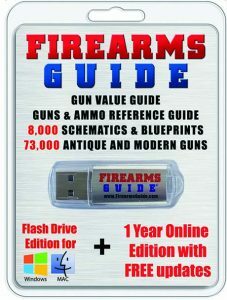 The price of the Firearms Guide 9th Edition Flash Drive is $29.95 and the Flash Drive/Online Combo is being offered for $39.99. 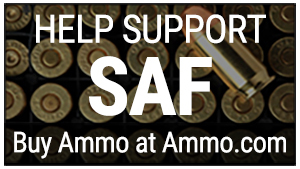 Free updates are available at firearmsguide.com.